← Really Forest Service? You’re Locking Us IN???? 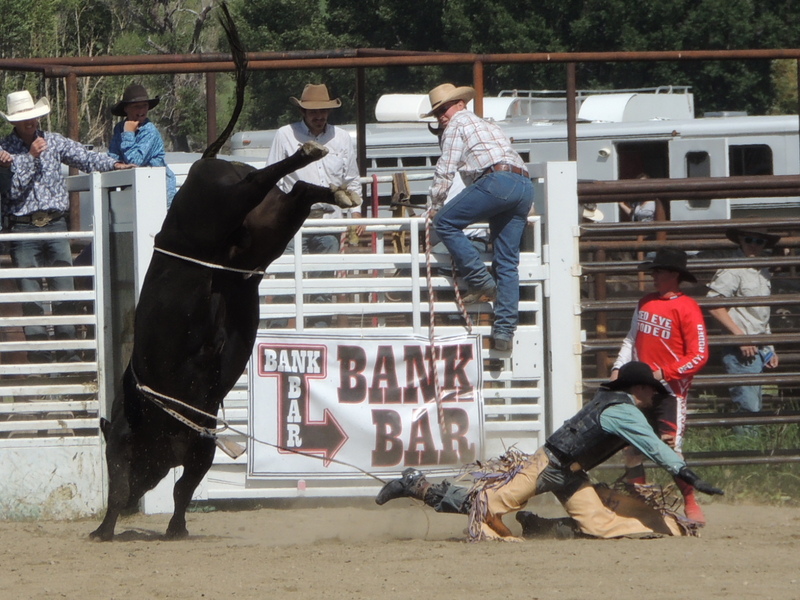 This entry was posted in Adventure, Life, Montana, Photography and tagged bullriders, ouch, Rodeo, Wilsall Rodeo. Bookmark the permalink. Oh no! You’ll never find me in there! Great shots. I always feel sorry for the animals. 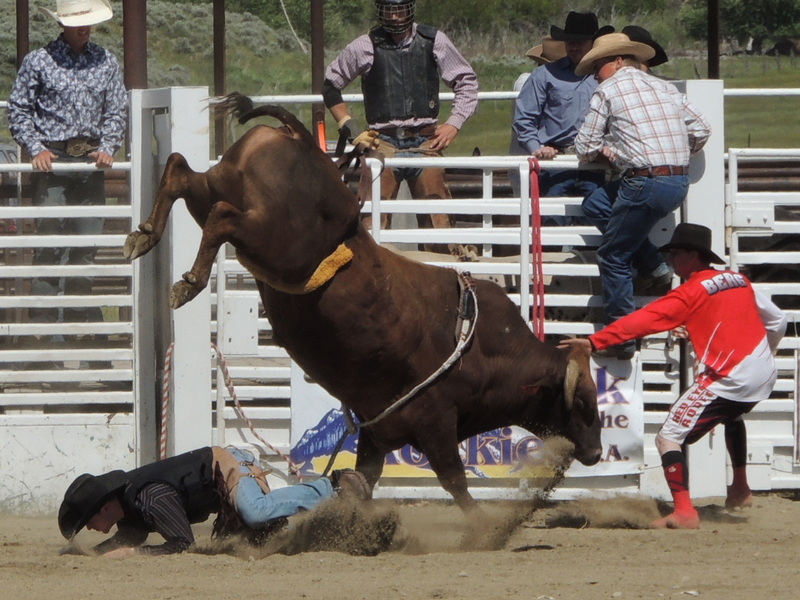 I do too – especially the steers and calves. The bulls, not so much! Yup. Once you get on, you will have to get off. These are fantastic photos! 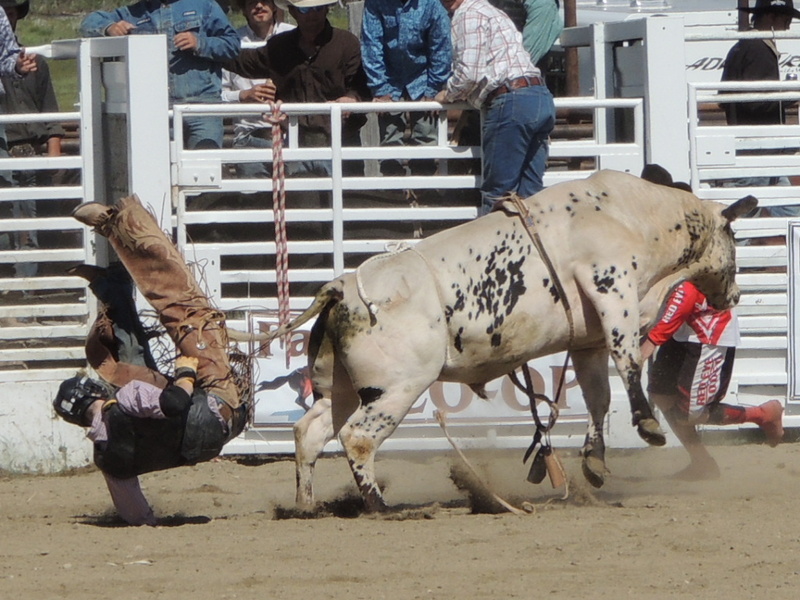 Rodeos have so much suspense and chaos, it is difficult to get focus, which makes these exceptional. I actually find it easier to watch the scarier events through the camera: it seems to relieve the tension a little. Thanks. Ouch! Some hard falls there. Nice photos of the action! Thanks. 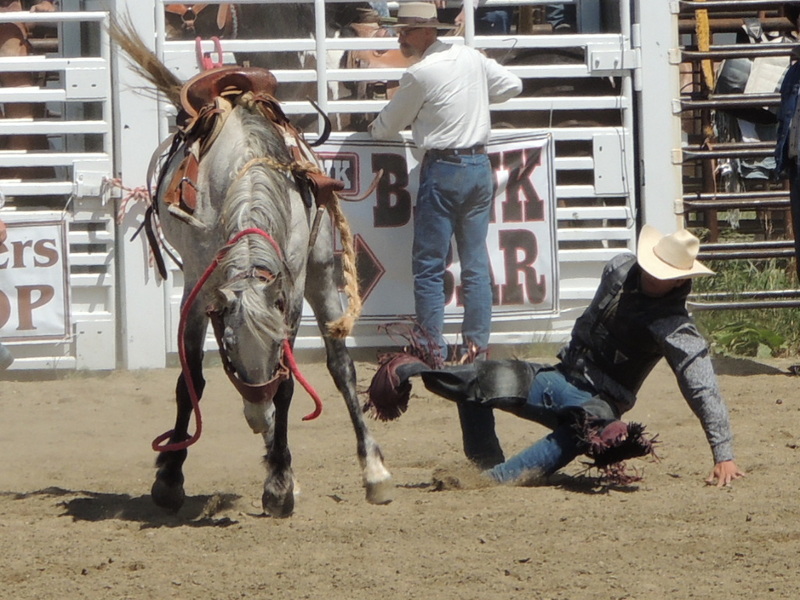 And yes, I think those cowboys are pretty well worn out by the time they’re 40. 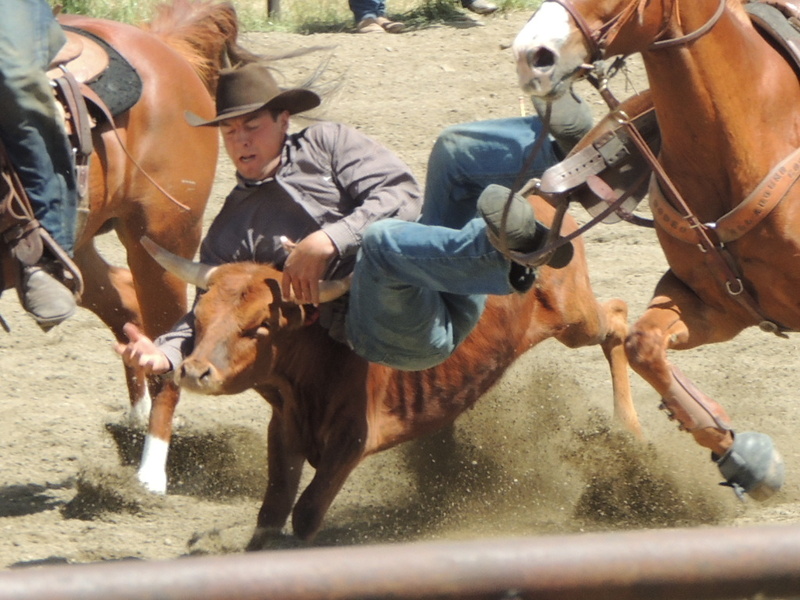 It hurts just looking at those guys, and noticing how close hoof often is to head. Wonderful pictures! It is kind of painful – and scary – to watch. Whoever ends up sitting next to me always has a bruised arm from my gripping them during the scary parts.